The Corinthian Classic Yacht Regatta – presented by Officine Panerai – invites those Spirit of Tradition yachts, designed with the intent to evoke traditional clean classic lines above the water line and modern underbodies below, to participate in our event. The CCYR event will be held August 11 & 12 at Marblehead, MA. 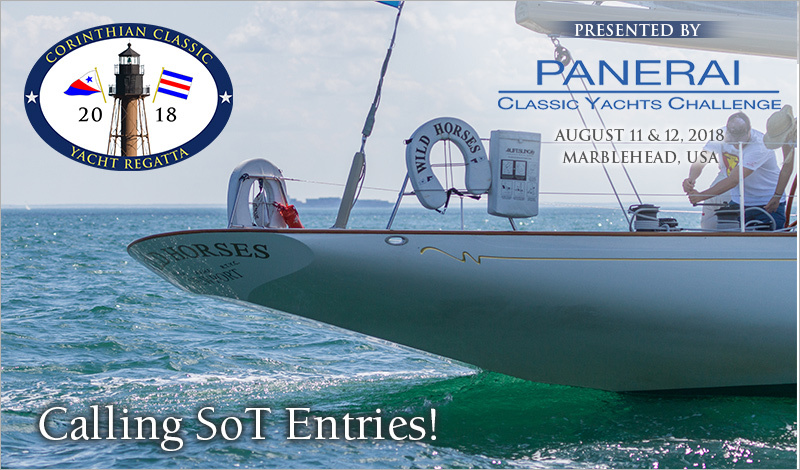 This will be a great opportunity for SoT yachts to sail for plenty of 'Silver' from both the Corinthian Classic Yacht Regatta and North American Panerai Classic Yacht Challenge. This event has become a "must do" on the Classic Yacht Circuit. It's an event you don't want to skip. Start planning now. Instructions to enter can be found on our website at www.corinthianclassic.org.